What A Day With eBay! We’re pretty excited about what happened last Monday. It was quite a day for us here at Beckertime! 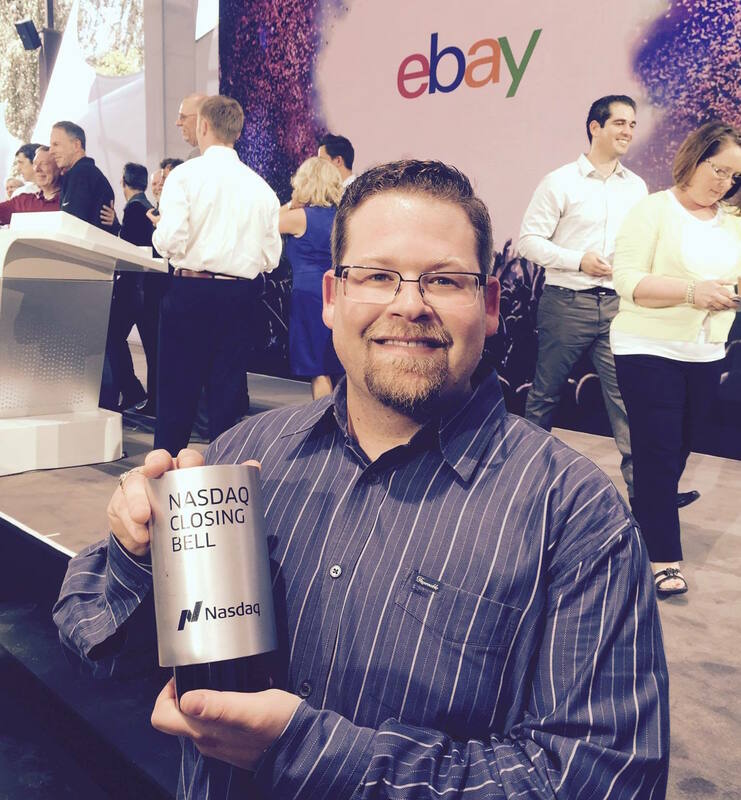 Our CEO Matt Becker was in sunny California to visit NASDAQ and help eBay ring the bell to close out the trading day. You may know, eBay recently spun PayPal off into its own independent company. Yep, PayPal is independent again for the first time in 12 years. So the PayPal folks rang the opening bell Monday morning. And Matt, along with 49 other Power Sellers hand selected by eBay, helped ring the closing bell. eBay invited one Power Seller from each of the 50 states to join them in celebrating the PayPal spinoff. We were excited to be chosen as the representative from Texas. Check the Beckertime Facebook page for photos and video of Matt hanging out with eBay President and CEO, Devin Wenig, and celebrating with the other Power Sellers. We’ve been an eBay seller for 16 years now. They represent a major component of our business model, and a big chunk of our business comes to us through eBay auctions. So needless to say, we’re big fans. We’ve worked hard to achieve our standing. We’re proud of our feedback score of 19533 completed auctions (at the time of this writing, but growing every day) and positive feedback rating of 99.7%. But you know what? We’re just getting started. Keep your eyes on this space because we’ve got some cool things coming!